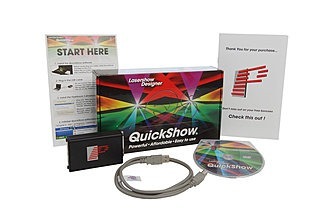 The new software for creating professional lasershows for Windows, Mac and Linux. Comes with a brand new LAN interface or a proven USB interface. The world-famous proven software for creating professional laser simulations for Windows. Available with a small USB or LAN interface or with a high-quality PCI card.